Maintaining a healthy diet during pregnany is very important. During this time, your body needs additional nutrients, vitamins and minerals. In fact, you need 350–500 extra calories each day during the 2nd and 3rd trimesters. 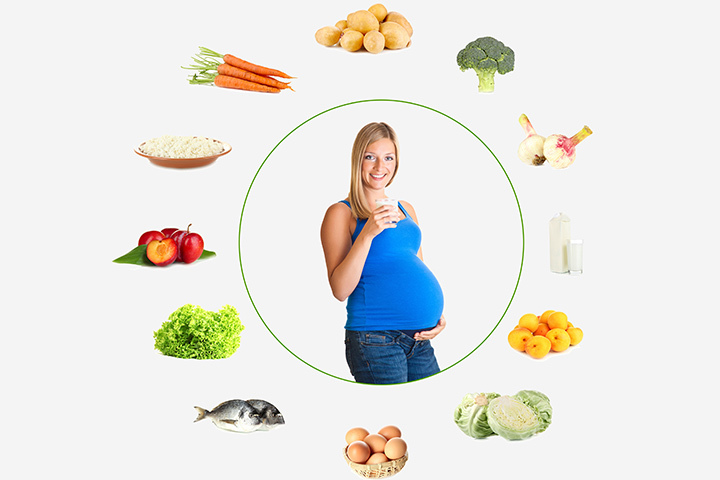 Vitamin rich food is very important during pregnancy. But you should never go over board as well. Your doctor must have prescribed you certain prenatal vitamin tablet to consume. Apart from that consuming certain foods helps too. 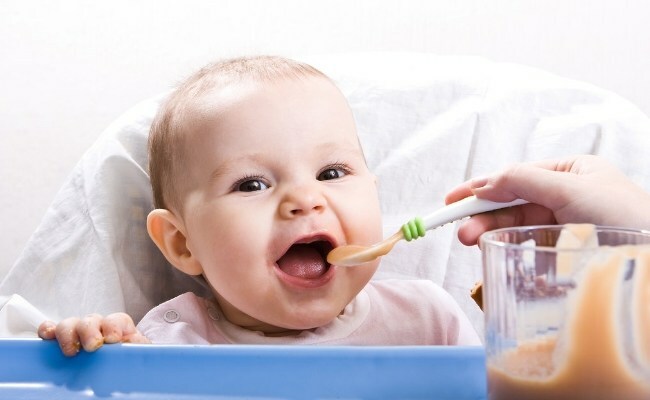 In this article lets discuss about vitamin A foods, health benefits and side effects of too much vitamin A.
Vitamin A aids in the development of your baby’s heart, lungs, kidneys, eyes, and bones in the womb. It also strengthens your baby’s circulatory and respiratory systems. Vitamin A is especially important during the last stages of a pregnancy. It works to repair tissues and helps the new mother fight infections. You don’t need vitamin A every day. Instead, try and get the average dose in the period of a week. 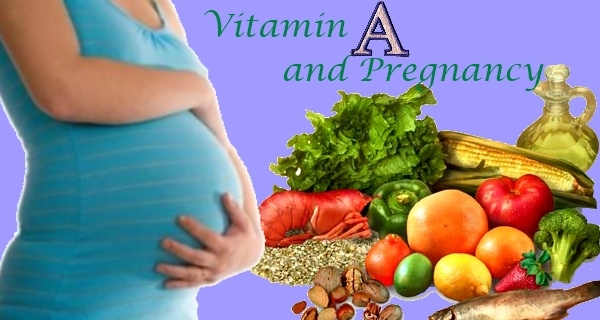 A pregnant woman needs 750 to 770 micrograms (approximately 2,565 IU) vitamin A every day. A breastfeeding woman requires 1200-1300 micrograms (approximately 4,330 IU) vitamin A per day. If you want a healthy pregnancy, you need to eat right. To ensure a balanced pregnancy diet, include the following foods. These are good sources of vitamin A as well as other important nutrients. This is why pregnant women and women who are trying to conceive are advised to stay off certain acne treatments because they contain high doses of vitamin A. Many studies have shown that pregnant women who take an overdose of vitamin A during the first seven weeks of their pregnancy can cause serious damage to their unborn child. A woman who consumes more than 10,000 IU of vitamin A daily is more likely to give birth to a baby with head, heart, brain and spinal cord malfunctions. Avoid taking prenatal vitamins that contain vitamin A. 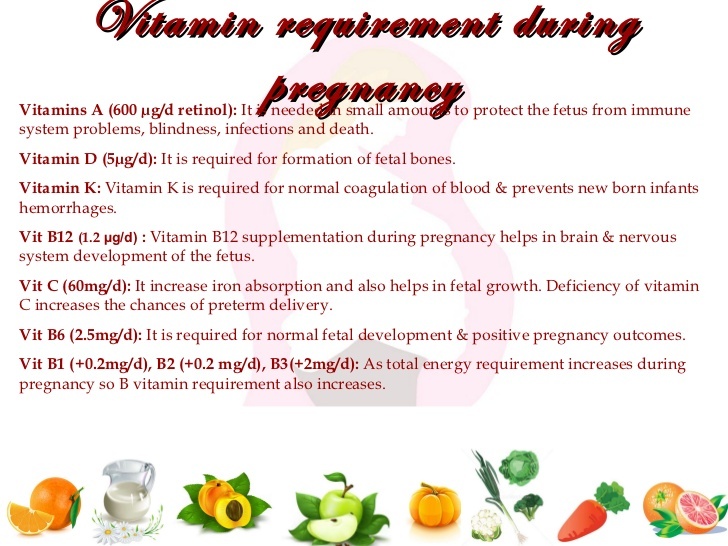 Limit your daily intake of vitamin A to 6000 IUs during the first two months of your pregnancy. Make sure you are consuming at least 3500 IU of Vitamin A every day. Try to get most of your vitamin A from your diet. Eat bright colored fruits and vegetables.